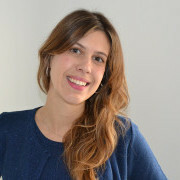 Salomé López has been the Director of the International Department of the Reproduction Unit, in Hospital Clinic Vistahermosa, for over 10 years. During her working life she received a Doctor´s degree (PhD) and has many years of experience in Reproduction as well as Clinic Management. She is a very enterprising person and has given several conferences about Reproduction worldwide and has been running the Reproduction Unit at many Fertility fairs in different countries. She is an empathetic person, very interested in people and always trying her best to help others.